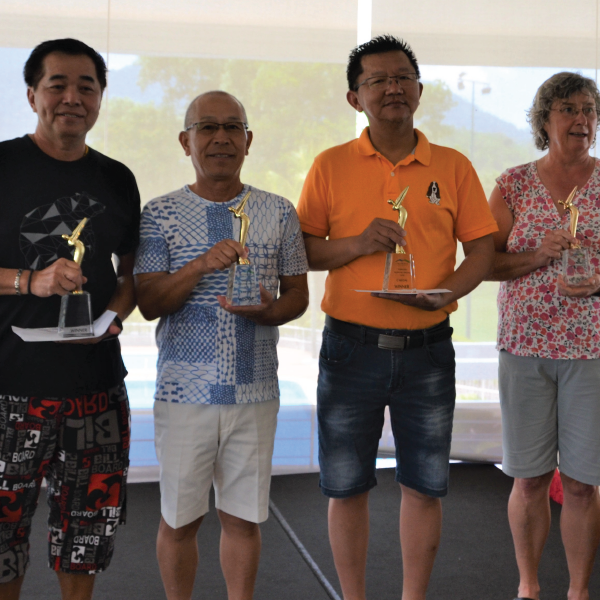 Congratulations to Leong Swee Mor, Masayoshi Maehara, Allan Ong and Elizabeth Brown on top honours of our Monthly Medals tournament held on Sunday, 10 February 2019. Monthly Medals never fail to attract golfers to participate and enjoy the championship condition of the golf course, as well as to foster better relationship among members. Teeing off 96 players enjoyed the course in its splendid condition. Playing off a 10 handicap, Masayoshi Maehara had a fantastic round of golf collecting a total of 41 Stableford Points. Finishing the runner up for the A Medal division was Ng Tong Chin with 37 points and coming in third place Joshua Lim with a total of 36 Stableford Points. Handicap 15, Leong Swee Mor dominated the B Medal with 40 points over Ching Mun Loong and Wong Tin Hooi who scored 37 points each. While Allan Ong emerged the winner for C Medal collecting 39 points, defeating Tan Hock Hieng and Mohd Khairizam who scored 37 points each. Meanwhile in the ladies category, Elizabeth Brown, handicap 36, was crowned the winner, with 44 points defeating Tomoko Ikawa, handicap 17, with a total score of 36 points. The event saw a total of 96 players which was dominated by 86 male participants. The event which lasted for half a day concluded with prize presentation and lucky draws. The Monthly Medal is a year-round competition held on the second Sunday of every month. The next monthly medal is to be held on March 10, 2019 (Sunday).